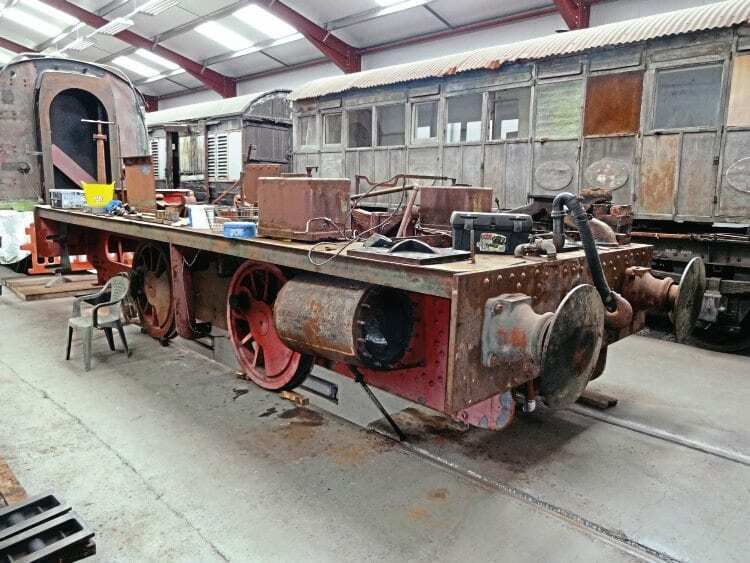 FORMER Courtaulds Textiles (Preston) Peckett ‘OY’ 0-4-0ST Caliban (1925/1937) will steam again in the city where it spent its pre-preservation career once the overhaul by the Furness Railway Trust is completed at the Ribble Steam Railway. Caliban had worked at Courtaulds’ Red Scar Mill from new and became a familiar sight at Carnforth’s Steamtown centre after preservation in the late 1960s. It went on to earn a name for itself in 1973 when it hauled the first trains on the reopened Lakeside & Haverthwaite Railway. Caliban last ran in early 1986, and later that year was moved back to Carnforth for storage. The Peckett’s owners, John Houghton and Alan Middleton, have since donated the loco to the Furness Railway Trust, and in July 2015 it was moved to the trust’s new shed at Preston Riverside. Here, the frames have been stripped down of most components and all traces of rust and old paint removed. New platework for the running board is currently being cut and drilled to replace corroded areas, and it is planned to lift the frames in the near future in order to extract the wheelsets. Work is also to begin on the boiler, with the removal of the life-expired smokebox and a full NDT (non-destructive test) of the boiler and firebox. The trust has found a source for patterns to aid the replacement of missing brasses and cab fittings, which were stolen some years ago.